In his third season at Cerezo Osaka, Takamitsu Yoshino has emerged as the team's top conductor on the pitch with his dribbling and passing skills. But he's faced many obstacles in a professional career studded with injuries. His career at the club began with a training camp injury, but the Kyoto native persisted. The mid-season return of former boss Levir Culpi provided inspiration. "I wanted to play under Levir Culpi," Yoshino told Goal in an exclusive interview. He would return to action as a key substitute in the 28th round of the 2012 season against Sagan Tosu, ending the season with five appearances. But a severe off-season injury to his right ACL and MCL forced another long absence. "Levir came back and I had finally gotten fit enough to play," Yoshino reflects. "I thought a lot about what could have been if I hadn't hurt my knee, but I realized that I couldn't undo the past and used that to focus on my rehabilitation." But another ACL injury in July 2013 set his return back even further. "Emotionally I was very discouraged. I thought it was the end," Yoshino says. But the midfielder did not give up hope, thanks to the encouragement of his team-mates. In an emotional scene after their Round 20 win at Omiya Ardija, the entire team donned Yoshino's No. 15 shirt for a group photo as fans held up a banner reading 'We're waiting for you to step on the pitch again'. It was their encouragement that gave him the strength to tackle his latest rehabilitation stint. 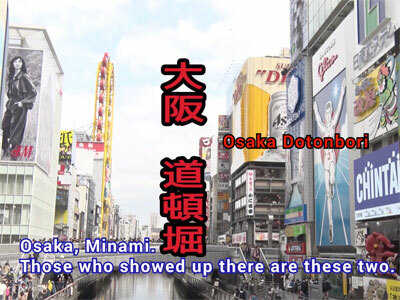 "It wasn't just my strength, but that of my team-mates, trainer [Yoshiaki] Shirai, the doctors who performed my surgery, my physical therapy teacher, and the supporters," Yoshino says. "Because of them I was able to rehab from morning to night, for about four or five months. "I felt like I was blessed, because I had a goal of returning to the team and playing well for everyone. Wanting to accomplish that was the strongest feeling I had." Despite a successful first appearance of the 2014 season in Cerezo's recent 5-4 loss at Kawasaki Frontale, Yoshino knows that he must do more to stand out: "The rest of my team-mates all have something they excel at, so I have to find a way to stand out even amongst them. "Right now we don't have a player like [current Vissel Kobe midfielder] Simplicio, who knew how to work in the final third and make passes that would create scoring chances, so I feel like that's my responsibility." Yoshino will be looking to make his presence known under new manager Marco Pezzaiuoli, who is still seeking his first league win since taking his post in June. "As a team we performed poorly in the first half of the season, and we all know we can do better. I want to get on the pitch and play so well that fans who came to the stadium won't forget me." 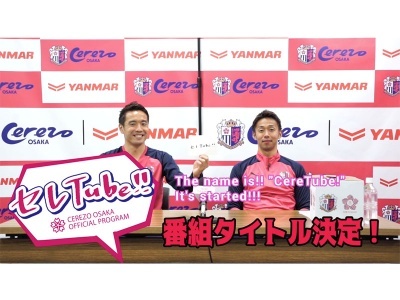 Source: "Cerezo Osaka Special Interview: Takamitsu Yoshino"